The biggest book I’ve ever read (quite literally) except for encyclopedias. It is massive tome – 600+ pages in fine print on a foot-long page. But do not be daunted by the scale of things. If you set aside 15 minutes or so during your break to read the obituaries in random order (obviously you don’t have to read them all), you’ll finish the book in no time. 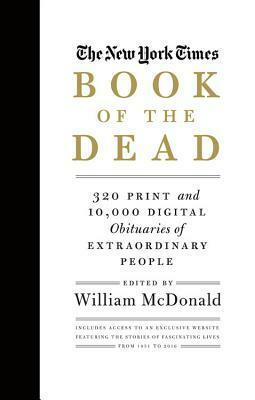 Not only does it enlighten one on the art of obituary writing, it transports you through time to relive the lives of giants whose accomplishments, prominence and impact on society “elevate them to a rarefied plane”. The introduction alone is well worth the read.